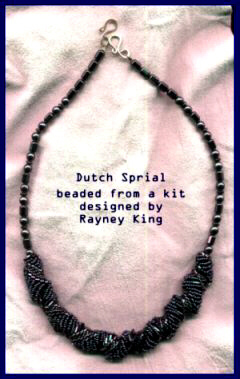 These first two are made from kits that my beading buddy Rayney King designed and sold on ebay. 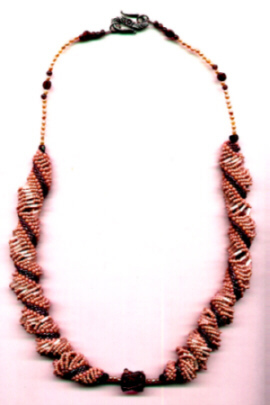 Check out her great beads on ebay. 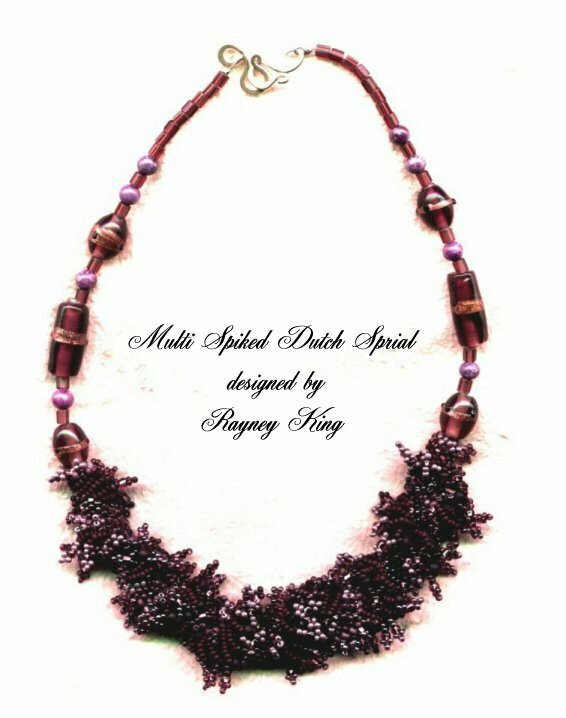 This is a multi shaded purple and the scan does not do it justice. 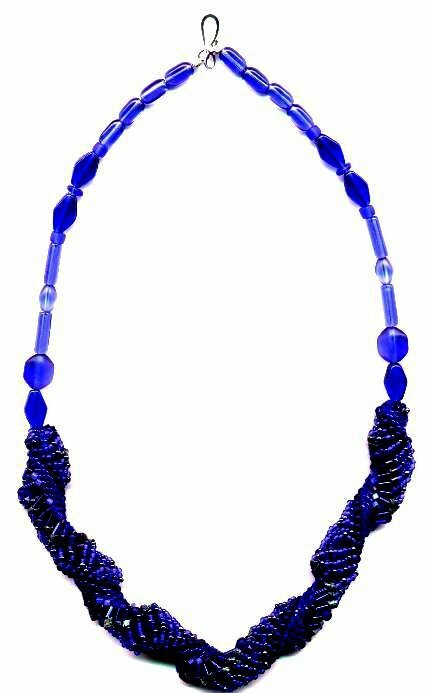 It is difficult to see in the scan but the loops are made up of randomly place different shades of blue and hematite beads, with a large center bead either matte blue or blue green stone and each loop ends in a blue bulge. The peyote is done in blue delicas and two different shades of blue 11 hex's. 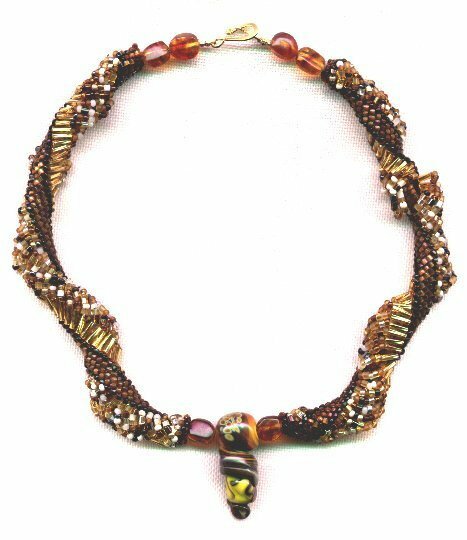 This is my latest spiral, using twisted gold bugles, with loops made of randomly placed beads, it is accented with amber beads and includes a lampwork bead by Lynne Tompkins. I have scanned both sides of the choker because Lynne's bead looks so different on each side it's like having two necklaces in one. Here is another spiral using another of Lynne's lampwork beads. 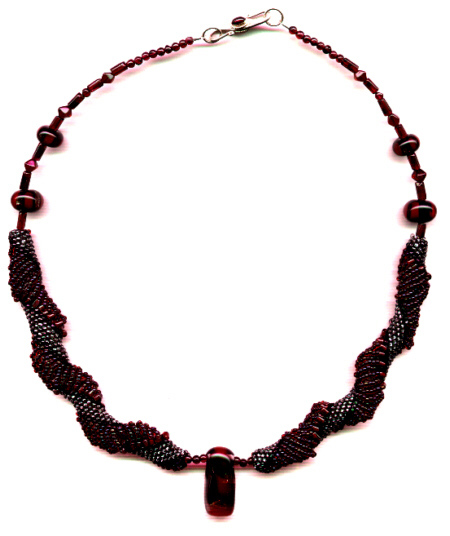 This one is made out of ruby red 12 cuts and 11 seed beads, bugles with garnets and fresh water pearls. 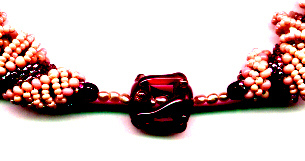 This is a close up of the lampwork bead showing the fresh water pearls running through the bead. 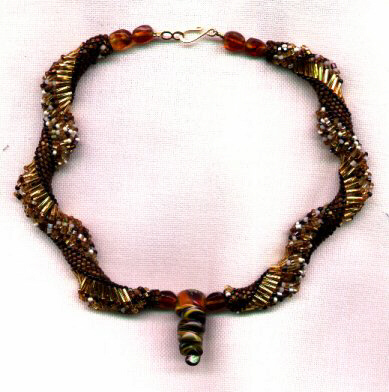 This spiral has garnets incorporated into the loops, a set of Lynne's lampwork beads, garnets for the strap and the clasp is sterling silver with garnets.